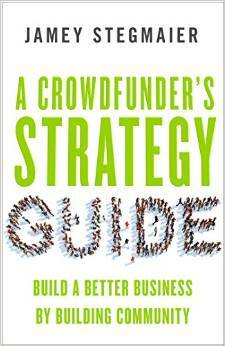 A step-by-step guide to steer you throughout the entire crowdfunding process. Here’s everything we’ve learned about shipping and fulfilling crowdfunding projects to backers and retailers. Innovative strategies from non-Kickstarter, non-tabletop game companies as they might apply to other businesses. I need some advices, any feedback is welcome! Let’s say, I do have an idea that can interest many people to participate, with a vast demographic, how in the world I drag people into the Kickstarter page? For me this is the most important key of a Kickstarter, and I need to say “successful” solutions do not work necessary on different kind of projects… or they do? What form PR or social media strategy you think I should focus on? It sounds to me like you’re approaching this from the wrong direction. You don’t set out to run a Kickstarter campaign that raises $500K. You start with an idea. If you have an idea, you can then choose to use Kickstarter as a platform to see that idea realized. You do this by determining the smallest amount of funds you need to turn your idea into a reality, and setting that as your goal. From my observations, few Kickstarter campaigns set out with the goal of making $500K. They have goals more along the likes of $50K, and then happen to overfund because of their popularity. You can definitely hope that your project becomes a mega project, and do everything in your power to increase the popularity of the project. But you need to do that because you want to make it the best version of your project possible, not with the goal of raising more money. As for the work behind running a mega campaign, I can’t speak from experience, but I imagine the amount of work doesn’t increase linearly with the funding total. If you set out with a goal of $500K, you may have trouble getting there. However, if you set out with a more realistic goal of $50K, and happened to overfund to $500K, the amount of work doesn’t increase 10 times over. It might be twice as much work on your part, but not 10 times as much. (These numbers are purely theoretical). Hello Graemecorrin! :) thanks so much for the feedback! Yes of course start from the idea, that’s why I am doing this. And the $500K will go 100% on the project, I am not doing profit at all, not even $1 dollar (I am not selling anything like tech or games), it will be more like a social experiment. :-) i am not in need of money for myself, at all, I need it 100% for the project it self. It’s going to be for the people and the “one” selected… Can’t said much more now :) but I am very exited, you will see when I launch… Probably on May 2016 in fact. Thanks again for feedback! Launched new innovative design and technological projects “Glowing Cup” for the illumination of dice. Support us on Kickstarter! Started reading the book just last night. so far amazing. thank you. Jamie’s book was recommended to me by a friend who also happens to have a game company. Just finished reading and am laying out a strategy based on Jamie’s recommendations and lessons learned. This is Lincy Macey from Korea. Do you know how can I start a project in the USA?